osCommerce is an open-source shopping cart software solution compatible with PHP and MySQL that is designed to make running your online business as easy as possible. Available as a free download, osCommerce is designed to make starting and maintaining an ecommerce site as easy as possible. In addition to these standard, out-of-the-box features, osCommerce also has over 6,000 add-ons to help you customize your site and the way you do business. As an open-source software solution, osCommerce is backed by a community of developers that are constantly developing add-ons for this already powerful software package. Thanks to a recent integration with Stamps.com, there is now a Stamps.com add-on to make shipping with the USPS easier and faster than ever. Available for new and existing Stamps.com customers at no additional charge, osCommerce users can batch print pre-paid USPS shipping labels and automatically post tracking numbers and shipment information for all of their osCommerce orders. 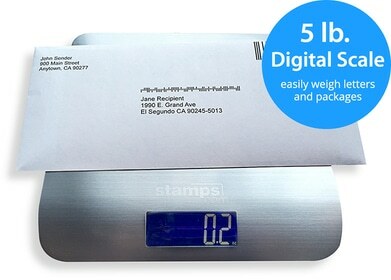 With Stamps.com, you can quickly print and send mail for any mail class, including First Class Package International Service without a trip to the Post Office. Other great features include discounts on Priority Mail and Priority Mail Express, discounted insurance rates, and powerful reporting functionality. Stamps.com is the easiest, fastest method to help you ship all of your osCommerce orders. Learn more about the Stamps.com osCommerce integration.